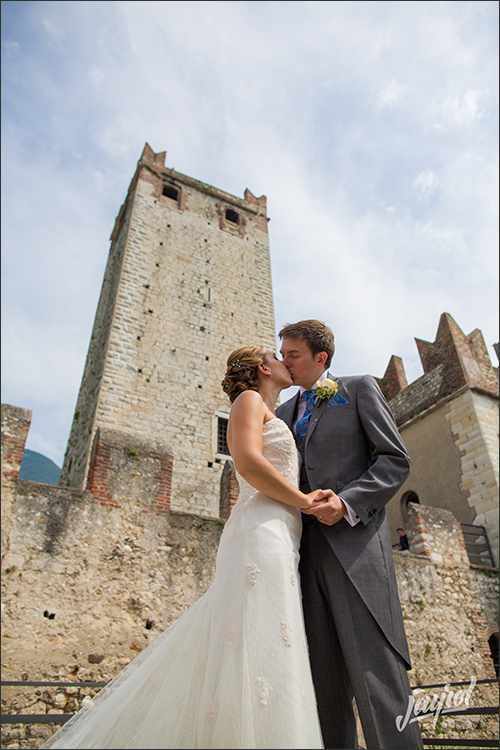 e are very pleased to come back to Lake Garda to tell you about a fun and fresh wedding we planned some time ago. 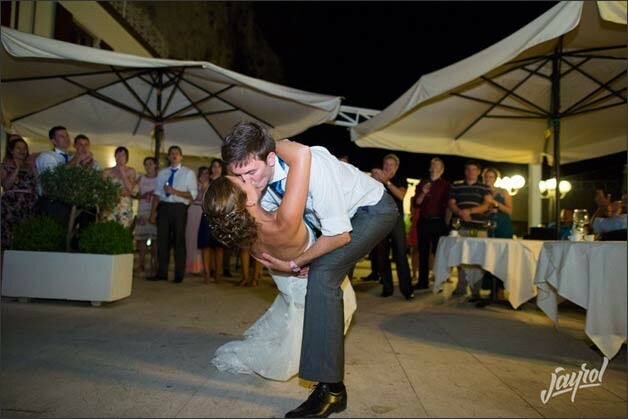 A wonderful young couple coming from UK and US chose Lake Garda for their fantastic fun, active and dynamic wedding. 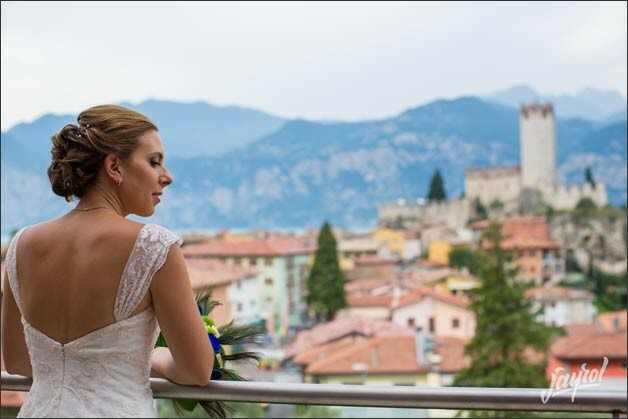 Chris and Adi chose little village of Malcesine for their big day. 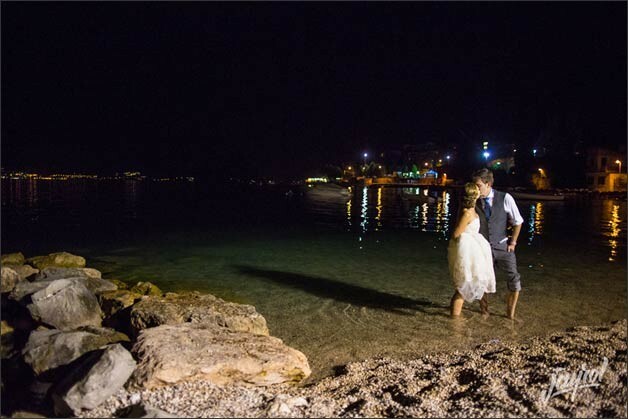 A special thanks to www.jayrol.com for amazing photos. 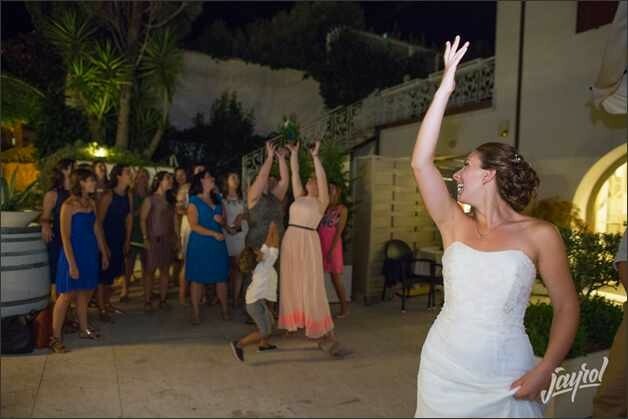 Exciting moments during the getting ready. 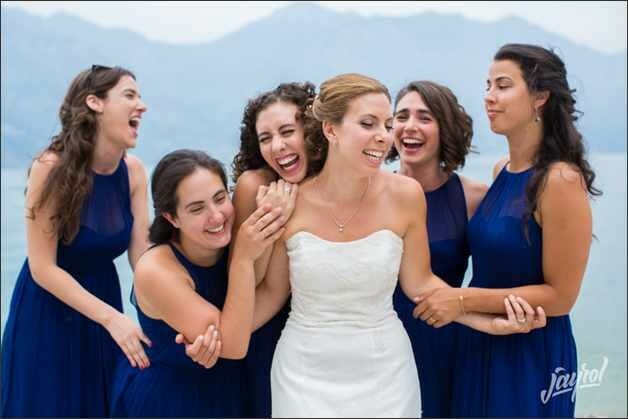 Sweet bride Adi got ready with her mum and her friends in a lovely hotel overlooking Lake Garda. 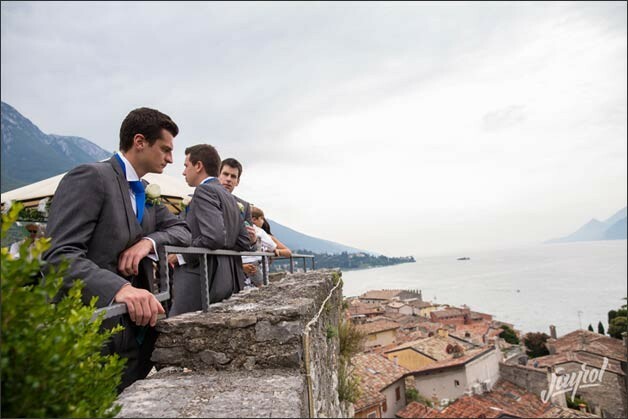 Guests and groom were all waiting for her on the terrace of Malcesine castle where the ceremony was planned. 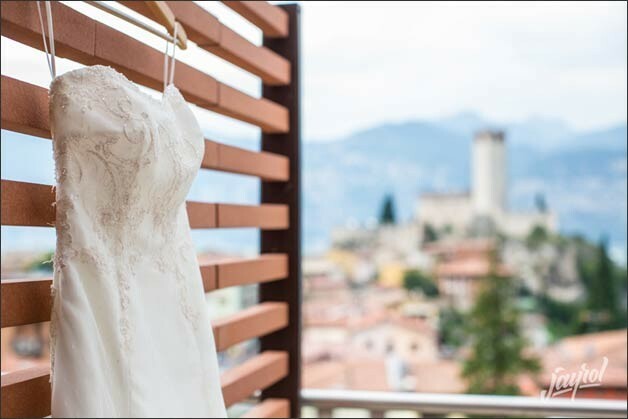 From the room of the bride she could see the terrace… very exciting! 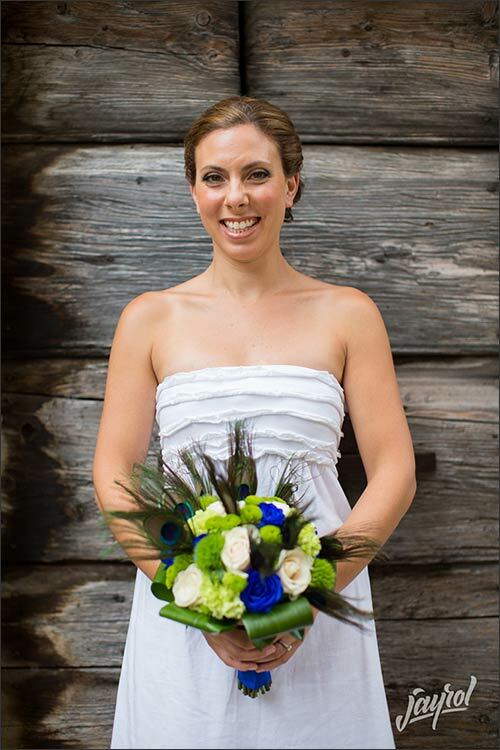 As theme colours Ali chose blue for bridesmaids’ dresses and some peacock plumes inside the bouquet matching men’s jackets lining. 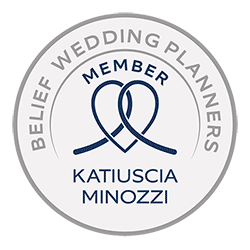 Ceremony was held outdoor even with some clouds in the sky. The sky was really dramatic! Some rays of sun light reflected on the waters of the lake and a bunch of clouds created a wonderful special atmosphere. 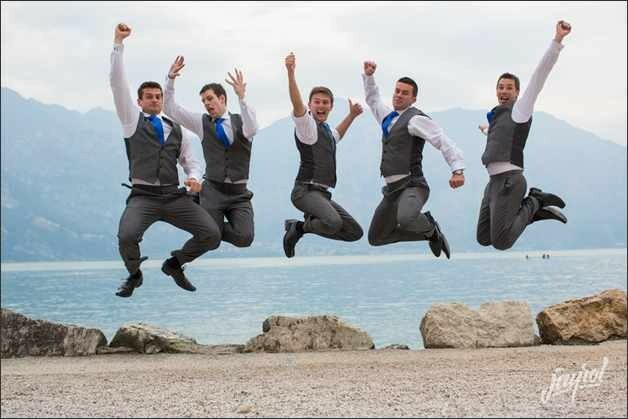 Just idea for amazing wedding photos! 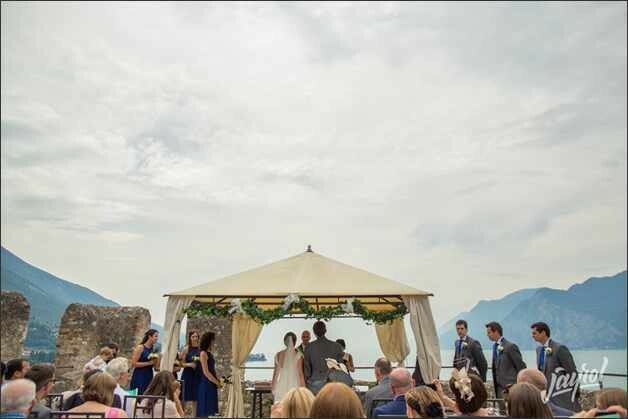 After the ceremony at Castello di Malcesine all guests were surprised by a big historical boat waiting for them! 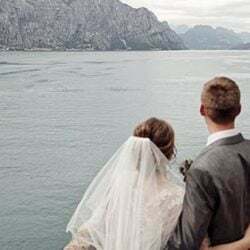 Bride and groom wanted to offer a wonderful cruise on a historical boat for all family members and friends. 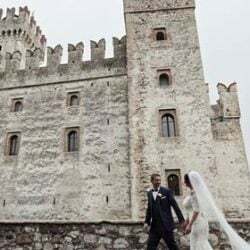 Tour was just amazing and romantic, without mentioning the amazing view over Northern area of Lake Garda. 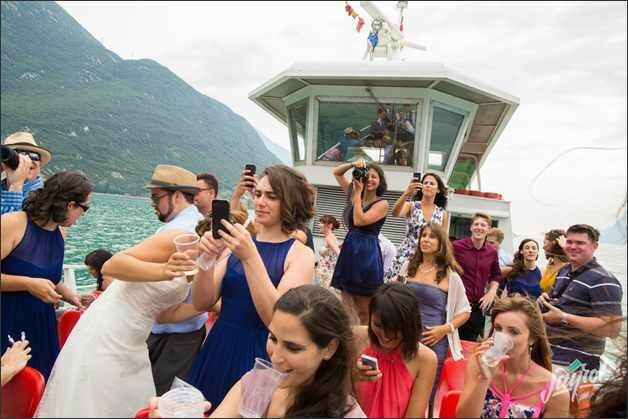 A toast with local prosecco was served on board. 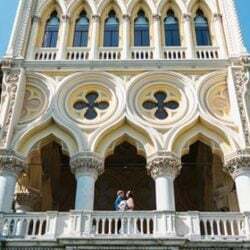 Big boat sailed along Lake Garda coast and all guests could admire the beauty of ancient lemon groves, little traditional villages and quaint views. 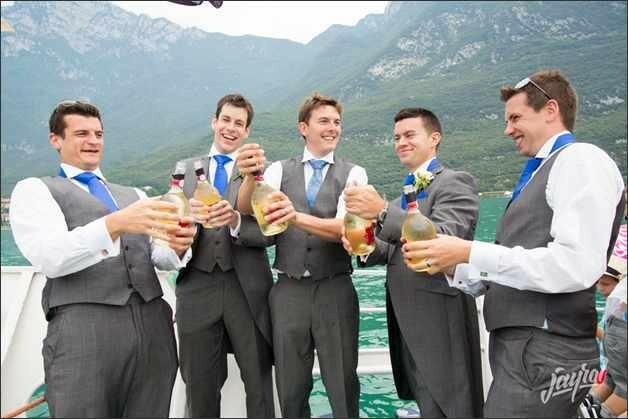 A boat tour on Lake Garda is a unique experience that everybody love! 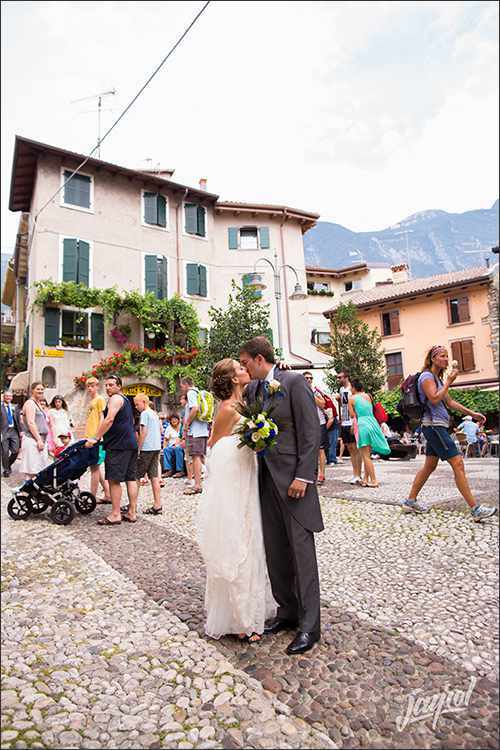 After the boat tour, newlyweds and their guests walked along traditional narrow and quaint roads of Malcesine. 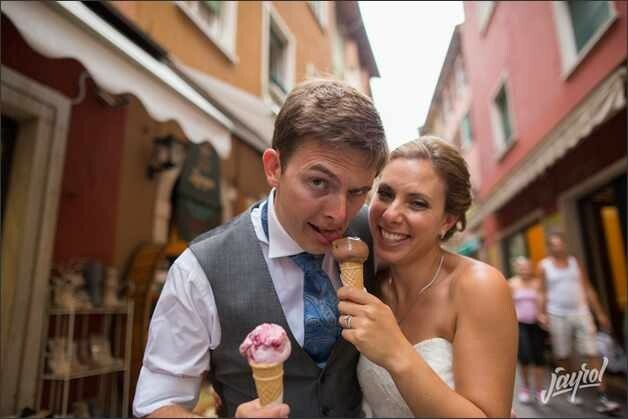 A little stop to have a traditional Italian gelato and then it was time for wedding reception. 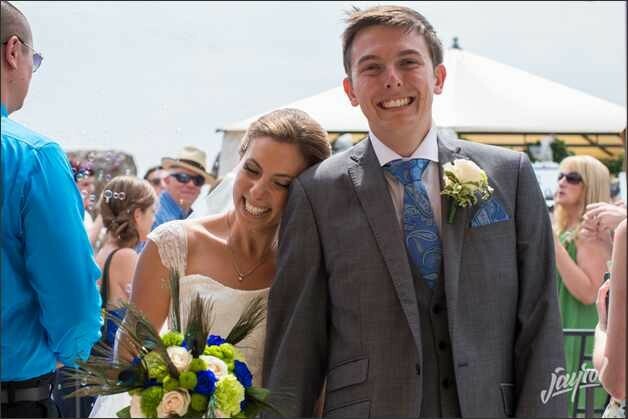 Ali and Chris chose a pretty restaurant on the shores for their romantic wedding reception. Dinner was simply delicious and party went on up to late at night with informal speeches, music, dances and fantastic food and wines. 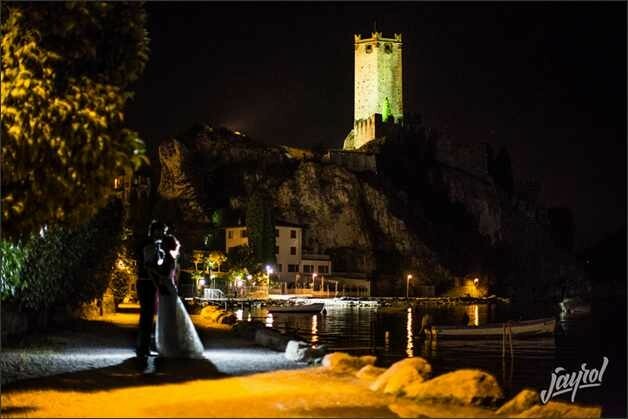 Night on Lake Garda can be very special and this night will be always in Ali and Chris’ hearts!